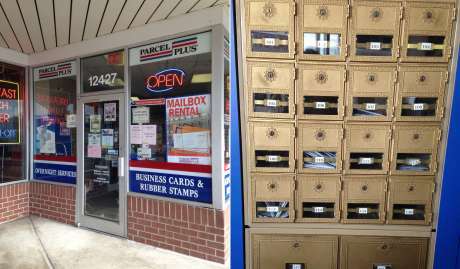 LAKE RIDGE, Va. — Wedged between a nail salon and a pizza shop in a strip mall about 25 miles south of Washington, D.C., is a postal supply store where a small brass mailbox sits stuffed with unopened envelopes. Diaz knows. He’s among those who have been pushed out of office after being targeted by the LEAA, which spent about $660,000 in the last two weeks of his 2008 campaign running ads linking him to rapists and murderers. How the LEAA pays for the campaigns is a mystery that political opponents, state officials and advocacy groups have fought unsuccessfully for years to unravel. The group, which has ties to the National Rifle Association but no public connections to official law enforcement agencies, has repeatedly gone to court to fend off such efforts. A dispute over whether the group violated Texas campaign laws is expected to wrap up this month, but the group’s donor list has so far remained a closely guarded secret. The nonprofit Law Enforcement Alliance of America’s aggressive campaigning has helped knock out 12 candidates from 15 state-level races in 14 years. The group also attacked four congressional candidates starting in the 1990s. TV ads attacked McEachin, then a Democratic legislator in the House of Delegates, as being soft on crime when it came to “sexually violent predators” and “drug kingpins.” He lost. TV ads painted Ford Elliott, a Democrat, as soft on crime. The ads cost at least $300,000. She lost the race, giving Republicans control of the state supreme court. The LEAA spent an estimated $250,000 on ads attacking Adkins, then a state senator, in the Republican primary. Adkins lost. TV ads said the Democrat “made millions suing doctors, hospitals and small businesses, hurting families and driving up the cost of healthcare.” The LEAA spent more than $1 million, Watson claimed in a lawsuit he filed. Watson lost to now-Gov. Greg Abbott, a Republican. The LEAA spent an estimated $1.3 million on TV ads attacking the Democrat and supporting her opponent. Yet she won anyway. TV ads attacked the House speaker over an FBI investigation into whether he abused public funds to help his daughter, Lisa Madigan, win her bid for attorney general. The Democrat won despite the attacks and was never charged with a crime. Postcards sent to residents in Head’s district accused the Democrat of siding with “convicted baby killers and murderers.” He lost, then, together with state Sen. Kirk Watson, sued the LEAA for campaign finance violations. TV ads attacked McRae for voting to overturn a murder conviction. He lost the nonpartisan race. “That’s been one of the biggest travesties around — that you can go behind an organization like this and put in hundreds of thousands of dollars and the people don’t know who really is supporting that ad,” McRae said. The Democrat lost his bid to now-Gov. Brian Sandoval, a Republican, after the Law Enforcement Alliance of America spent an undisclosed amount on TV ads attacking Hunt. 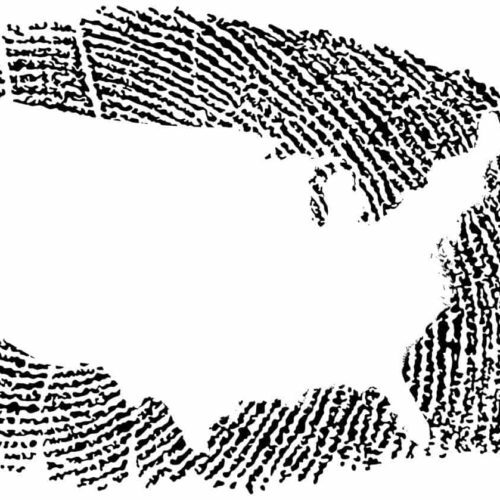 The Law Enforcement Alliance of America spent an estimated $800,000 on ads attacking Hood. Yet the Democrat won. “If you attempted to try to identify anybody at the LEAA, if you tried to call the office, nobody ever answered the phone. It was always the answering machine,” said Jonathan Compretta, who helped run Hood’s 2003 campaign. TV ads attacked Leyton, a prosecutor, for making plea deals with murderers and other violent criminals. The Democrat lost. TV ads attacking Langford Morris cost the Law Enforcement Alliance of America an estimated $800,000 to air. The Democrat lost. TV ads that cost at least $450,000 to air portrayed Phillips as a greedy trial attorney. He lost the nonpartisan race. TV ads attacking Cullen and supporting his opponent cost at least $320,000 to air. He lost the nonpartisan race. “The core problem of it is it’s anonymous. You typically don’t know who’s behind these things, so there’s no accountability, and that’s uniquely troubling in a judicial setting,” Cullen said. Sources: TV station records, court filings, The Washington Post, The Austin American-Statesman, Pittsburgh Post-Gazette, Chicago Tribune, Justice at Stake, Brennan Center for Justice. The LEAA and its current leader, Chief Operating Officer Ted Deeds, did not respond to repeated calls and emails. Lawyers representing the group said they were not authorized to speak on its behalf, and the LEAA’s accountant referred questions back to the group. In the past, its leaders have argued that its anonymously funded activities are protected under the right to free speech. The group is an extreme example of a growing cadre of political organizations — from the conservative Crossroads GPS to the environmental advocate League of Conservation Voters — that insert themselves into elections, flood the airwaves with attack ads and often tip the scales in favor of the candidate they prefer. All the while, voters have no idea who is behind the effort and what their motives are because of a gap in disclosure laws. The LEAA is among the most mysterious and successful, coming into races like a stealth assassin, then all but disappearing when the race ends. Two weeks before last year’s Arkansas Supreme Court election, the LEAA swooped in to take out a trial attorney it didn’t like. Cullen responded, saying the ad misrepresented his argument. The group spent at least $320,000 airing the attack ads, as well as some supporting Cullen’s opponent, Court of Appeals Judge Robin Wynne, according to local TV station records. It was the first time a group unconnected to candidates or political parties bought ads in an Arkansas court race. Wynne, who denied any involvement with the ads, won by a 4-percentage-point margin. The ads not only contributed to Cullen’s loss, they also led him to give up politics, even though his supporters want him to run again. “Because I still do not know their motives or the source of their funding, I am concerned that they (or whoever is behind them) might again hijack any future race if I was a candidate,” Cullen said in an email. A bill that would have required groups like the LEAA to reveal their donors failed in the Arkansas House this week, the Arkansas Democrat-Gazette reported. The Arkansas race was simply the latest in a string of judicial elections in which the LEAA helped determine the winners. Two years before, the group spent at least $450,000 airing ads that criticized losing Mississippi Supreme Court candidate Flip Phillips. And in 2010, the LEAA spent $800,000 airing ads that attacked Michigan Judge Denise Langford Morris, who subsequently lost her campaign for state supreme court, according to Justice at Stake, an advocacy group critical of judicial elections. In the Diaz case, Mississippi’s Special Committee on Judicial Election Campaign Intervention condemned the ads, causing Comcast to pull them from its stations, according to Mississippi’s The Clarion-Ledger. Still, he lost by 16 percentage points, despite the $100,000 he estimated his campaign spent fighting back. The group also jumped into races for at least two more supreme court justices, seven attorneys general, two state legislators, plus four congressional races. Each time, the LEAA made a name for itself with harsh attack ads, and almost every time, its candidate won. The LEAA was created by the National Rifle Association in 1991 to represent pro-gun police officers willing to defend their right to bear arms, according to Leroy Pyle, an 18-year veteran of the San Jose, California, police department, whom the NRA tapped to launch the group. At its peak in the late 1990s and early 2000s, the group had about eight employees, two former staffers recalled. Today the group describes itself as a coalition of thousands of dues-paying law enforcement professionals around the country. The number of members is not publicly verifiable. “LEAA was established early to give a voice to cops so that when the police chiefs would show up and have a press conference and say, ‘Well, this is what cops think,’ that the public at least have some indication that this is not what all cops think,” said former employee David Bufkin, who now owns a communications firm outside of Washington, D.C. However, the International Union of Police Associations and the Fraternal Order of Police, two major national police labor groups, disavow any link between the LEAA and their organizations. “If we have ever agreed with them, it’s been totally coincidental,” said FOP spokesman Jim Pasco. Officials speaking on behalf of state chapters of the FOP have used even stronger language to distance themselves from the LEAA. For example, when the LEAA ran ads criticizing now-Illinois Attorney General Lisa Madigan in her 2002 race, the state branch of the FOP said it was an “insult for this group to pretend to represent police when they promote policies that would endanger the lives of law enforcement officers,” according to the Chicago Tribune. For most of its early existence, LEAA staff regularly lobbied Congress and state legislatures, usually opposing measures that would restrict gun ownership. Jim Fotis, the group’s full-time executive director from about 1993 until 2006 and a member of the board of directors until 2010, was a regular presence on Capitol Hill. A former cop in Lynbrook, New York, for 14 years, he also represented the group in “hundreds of TV and radio programs as a commentator on sensitive issues ranging from gun control to international terrorism,” according to his LinkedIn profile. Fotis could not be reached for comment. The LEAA’s focus shifted more toward elections in the 2000s, and its newest leader, Deeds, has kept a much lower profile. He also has a tenuous connection to law enforcement. The 51-year-old worked as a corrections officer for three months in 1984 in the Arlington County Sheriff’s Department and for seven months in 1986 for the Loudoun County Sheriff’s Department, both in Virginia. He was fired from both jobs, according to county personnel records obtained by the Center for Public Integrity. The Virginia Employment Commission later found no evidence to show misconduct connected with his work in Arlington County, but he was not reinstated. In its early years, the LEAA would not have survived without the NRA, according to Stephen Chand, the group’s legislative director for a few years in the mid-1990s. Money was tight enough that the group couldn’t do much, especially when it came to influencing elections, Chand said. “I remember one year we were handing out $50 to some candidates — the best we could come up with,” he said. After Chand left in the late 1990s, he was surprised to see the LEAA spending vastly larger sums on state races. The NRA gave the group at least $2 million over seven years, ending with a grant of $180,000 in 2010, according to the NRA’s tax documents. Since then, the NRA’s tax filings don’t show money going to the LEAA. The NRA did not respond to requests for comment. Despite the financial links, then-LEAA spokesman Kevin Watson denied his group was a front for the NRA in a 2001 Pittsburgh Post-Gazette story. “There are a great chunk of issues that have nothing to do with the NRA,” he said. Chand said the LEAA also had close ties to Americans for Tax Reform, the nonprofit run by NRA board member Grover Norquist, who is known for seeking public pledges from elected officials to not raise taxes. The U.S. Chamber of Commerce also collaborated with the LEAA to influence the 2001 Virginia attorney general’s race, according to a memo the Center for Public Integrity obtained from a meeting between LEAA staff and its accountant. Representatives of Americans for Tax Reform and the U.S. Chamber of Commerce did not respond to questions about whether they helped to fund the group’s efforts. It’s hard to know whether the LEAA still has links to such groups because it conducts business in near-complete secrecy. The organization has no known office, having left just a box of posters and pile of unopened mail at the now-vacant space it listed on its last tax form. The LEAA’s current address leads instead to the mailbox in the Lake Ridge, Virginia, postal supply store. The IRS said the LEAA has not filed mandatory forms with the federal tax agency since the ones that covered 2011 — something that could carry a fine of up to $50,000. The group also failed to release its tax records in response to the Center for Public Integrity’s requests, as required by law. Even if the LEAA had filed the required documents, they likely wouldn’t have revealed much. Federal law doesn’t require a nonprofit like the LEAA, which is regulated under section 501(c)(4) of the U.S. Tax Code, to reveal the names of donors publicly or to offer many details about how it spends money. Known as “social welfare organizations,” these nonprofits have become frequent vehicles for political activity by groups whose donors don’t want their names revealed. Unlike candidates, such nonprofits can raise unlimited amounts of money from unions and corporations, plus spend unlimited amounts. 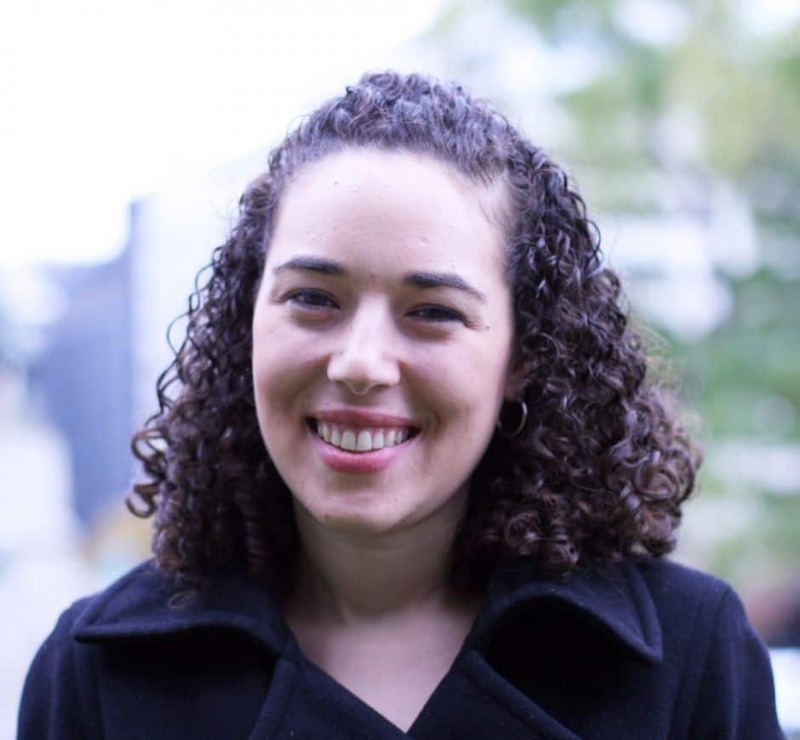 In down-ballot races like those for state supreme court, the secrecy of such nonprofits is particularly problematic, because the groups may be the only ones offering information about the candidates, according to Jessica Levinson, a Loyola Law School professor who specializes in election law. The LEAA has repeatedly fought efforts by state officials and opponents to require it to reveal its donors. After the group failed to register as a political committee in Pennsylvania in 2001, a judge there ordered the LEAA to remove from the air ads attacking state supreme court candidate Kate Ford Elliott. Registering would have required revealing details about donors and spending. In response, Deeds repeated an argument the LEAA has used frequently: that the First Amendment protects the group’s right to spend money on ads without revealing its donors. Elliott lost in the end anyway, and the Pennsylvania Supreme Court shifted to Republican control. And less than a week before the election, the LEAA accused Democratic state house candidate Mike Head of being on the side of “convicted baby killers” via postcards sent throughout his district. The LEAA argued that its right not to reveal donors’ identities is protected under the group’s right to free speech. The legal fight dragged on for more than a decade. The two Democrats reached a settlement agreement with the LEAA in late February 2015, their attorney told the court, and the case is expected to be dismissed this week. Watson declined to comment, and the attorney for both Watson and Head did not return calls. Yet the effect of the election cannot be undone. Former state Supreme Court Justice Greg Abbott beat Watson to become the attorney general. Today, Abbott, a Republican, is the governor of Texas. Alan Suderman contributed to this story.